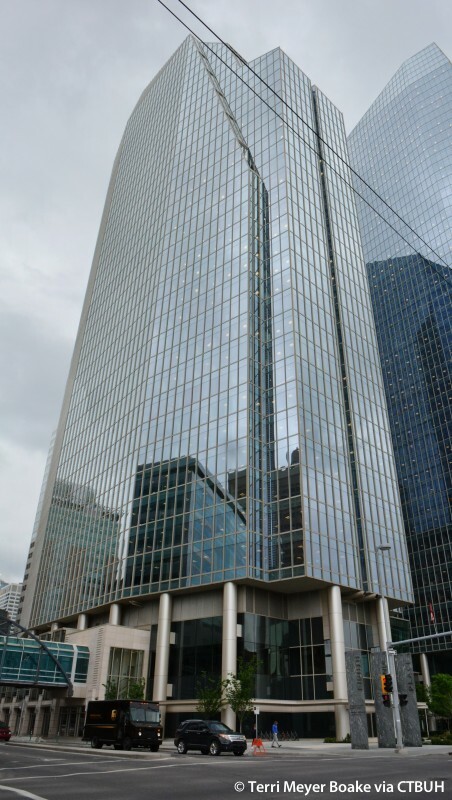 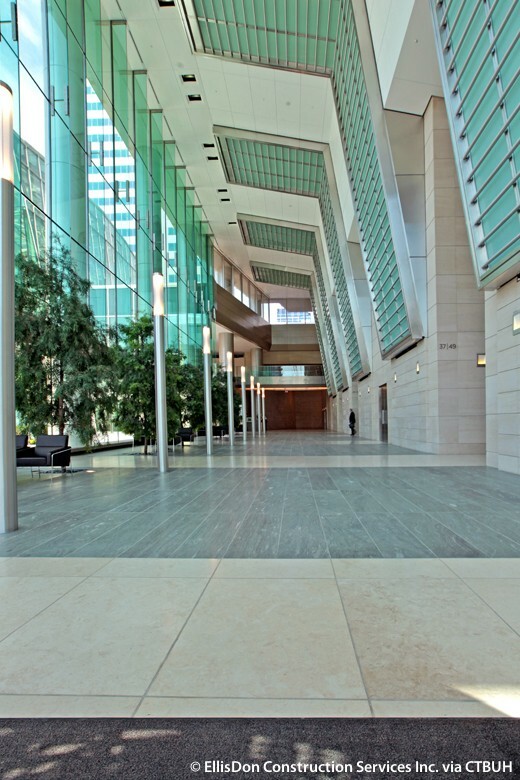 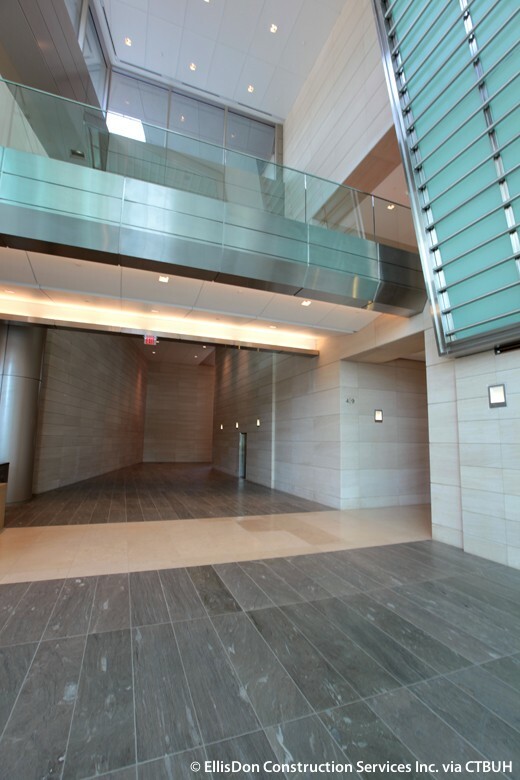 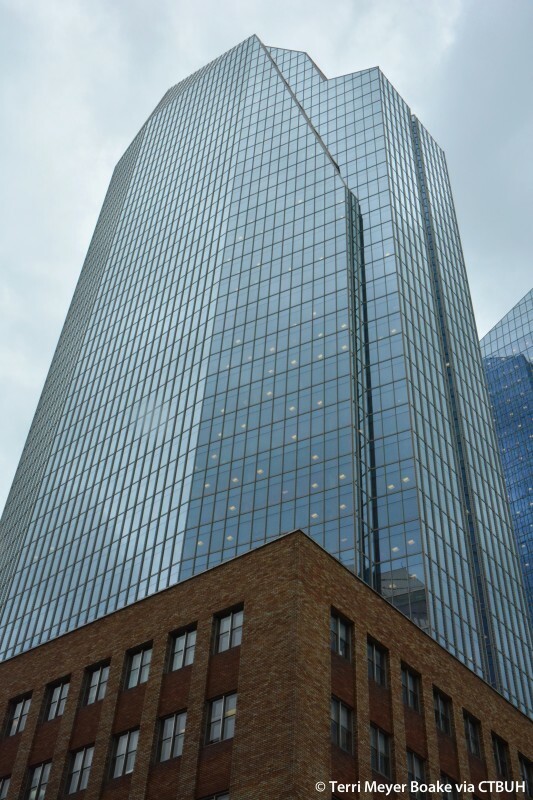 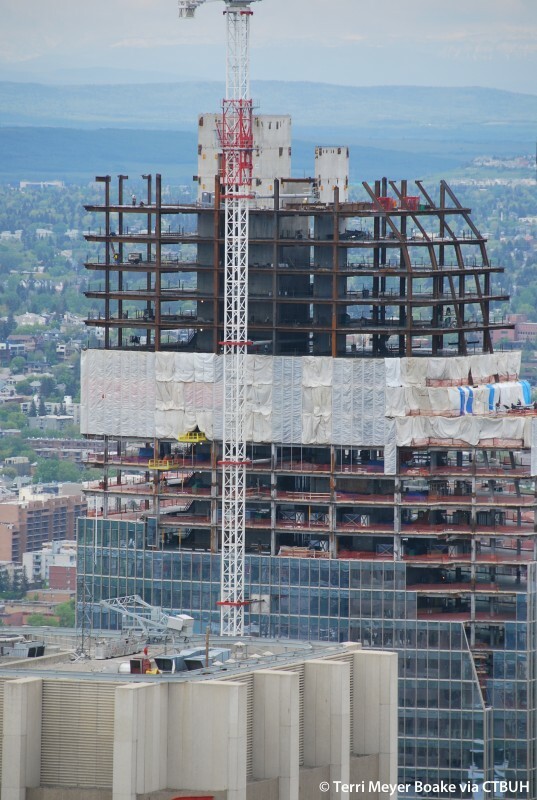 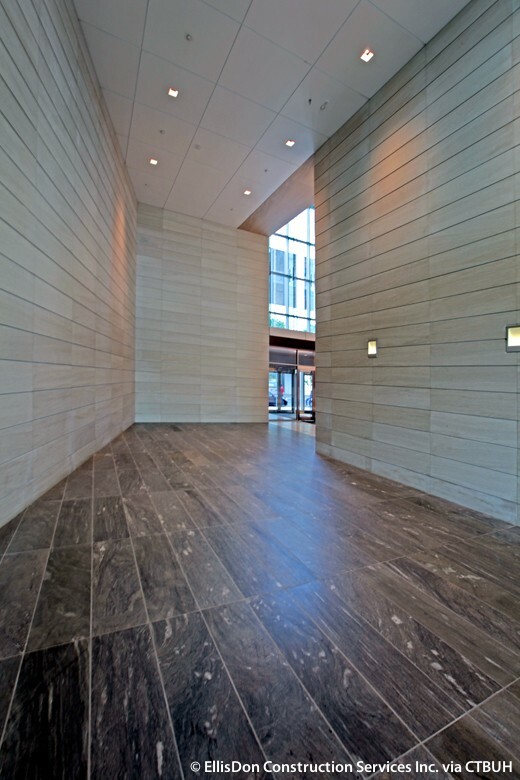 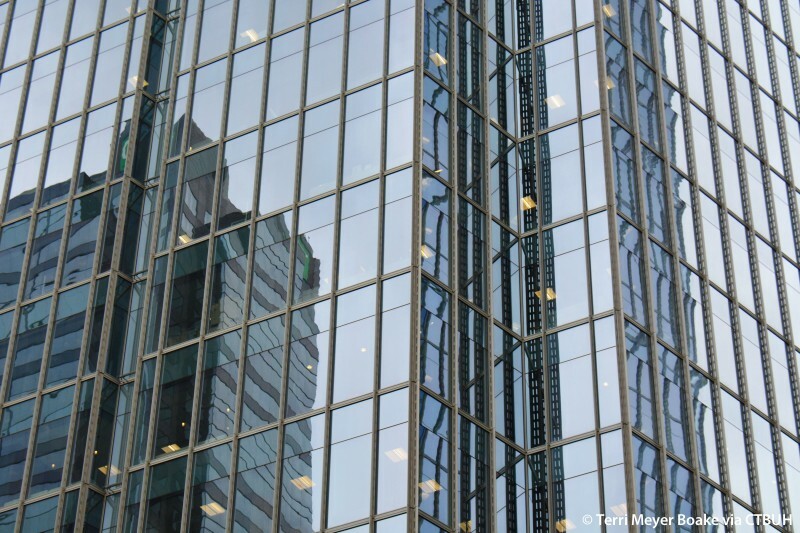 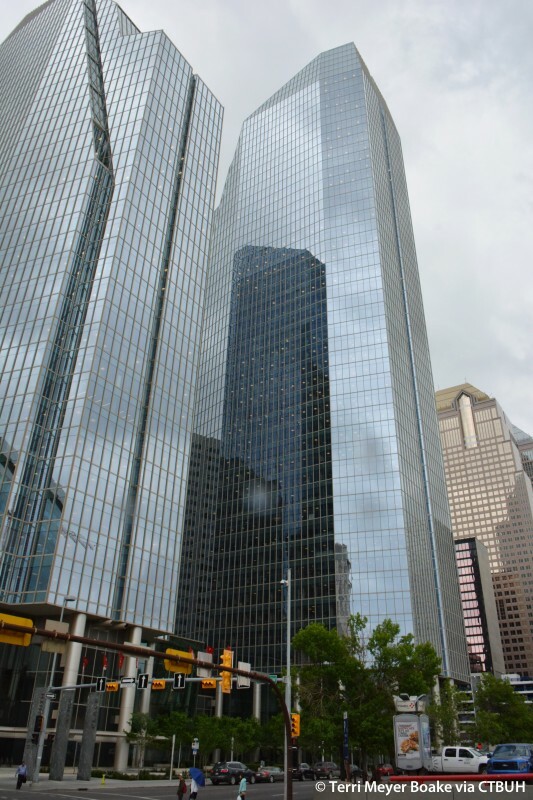 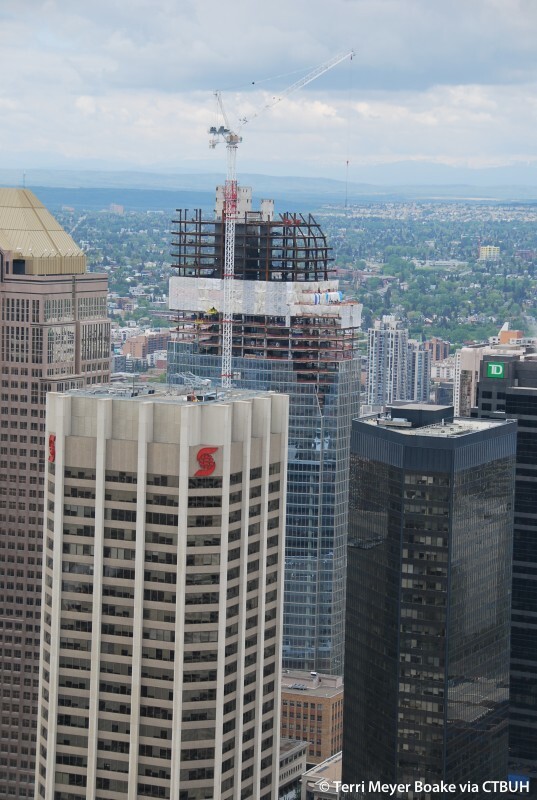 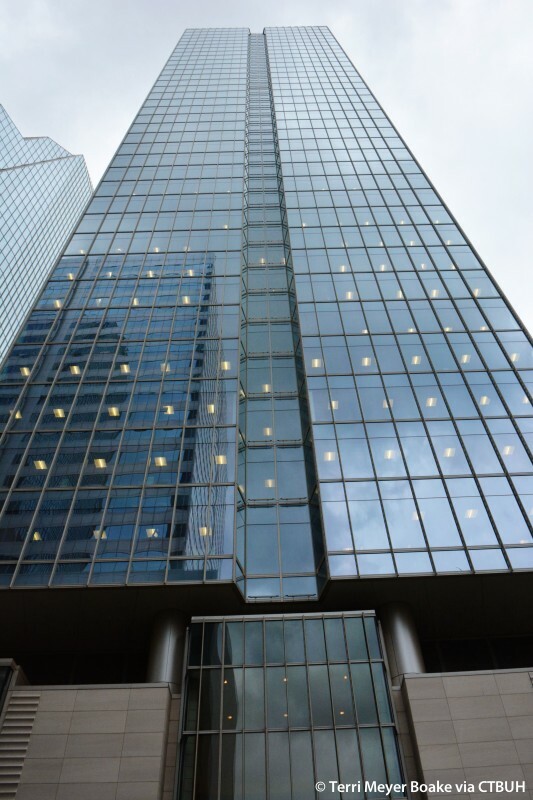 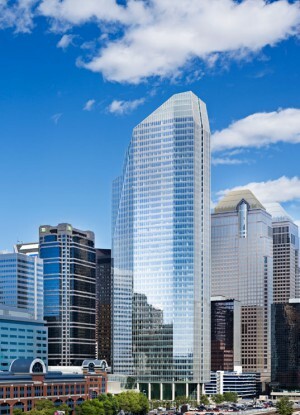 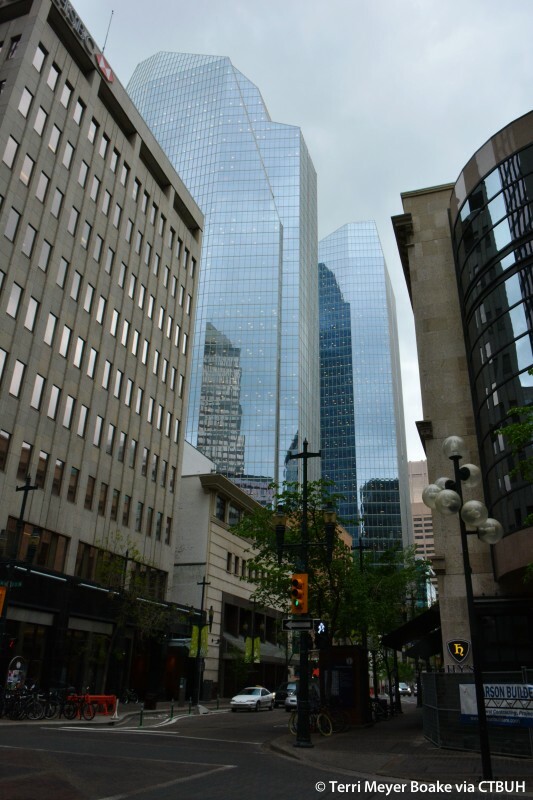 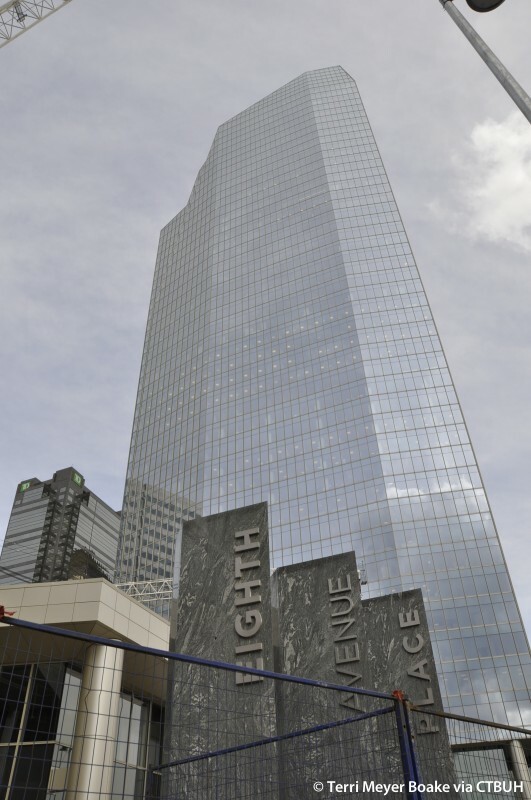 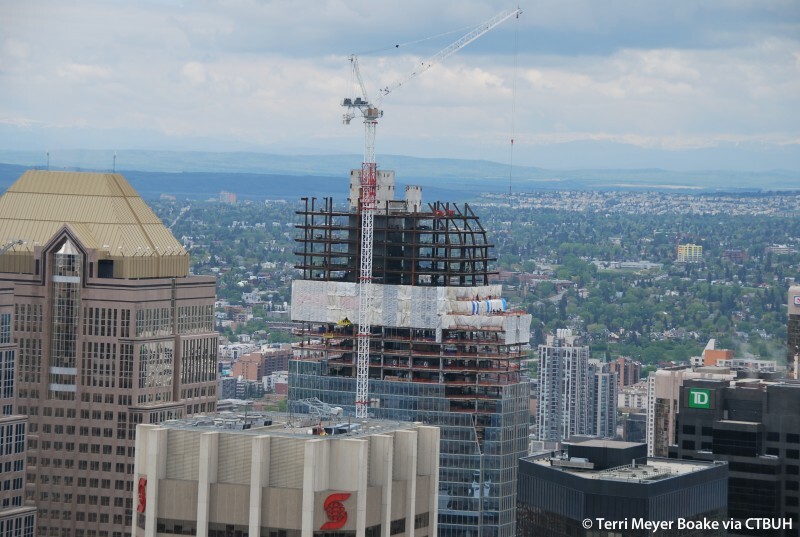 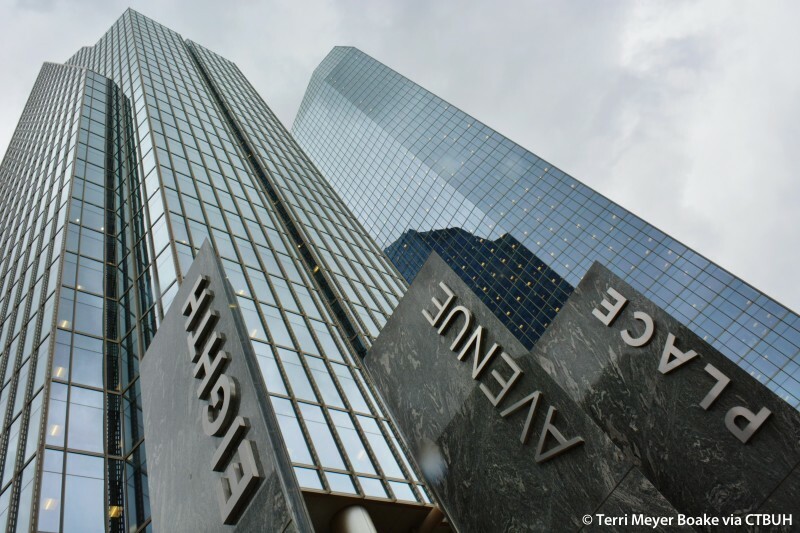 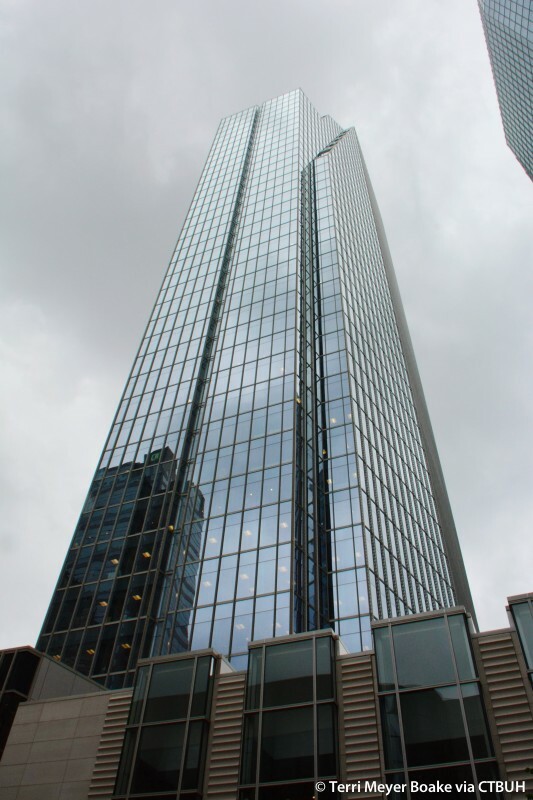 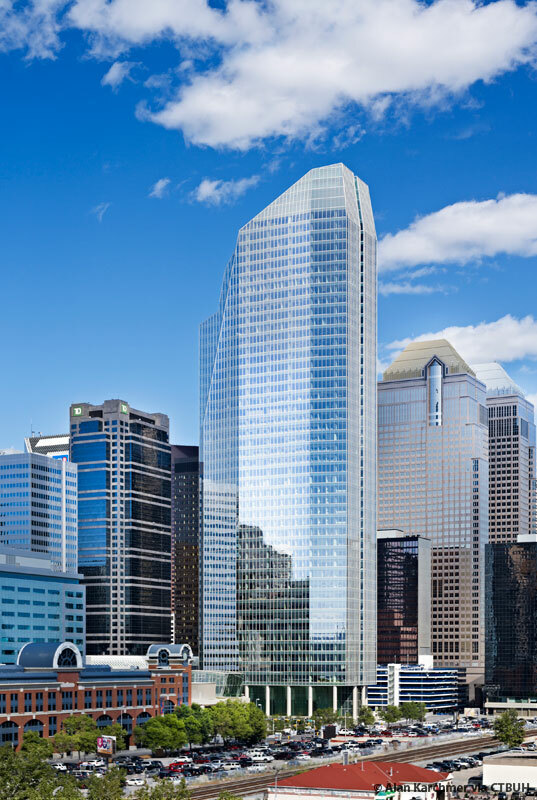 Main Contractor EllisDon Construction Services Inc.
As Canada’s first pre-certified LEED Core & Shell Platinum tower, Eighth Avenue Place East Tower is a dramatic insertion into Calgary’s skyline. 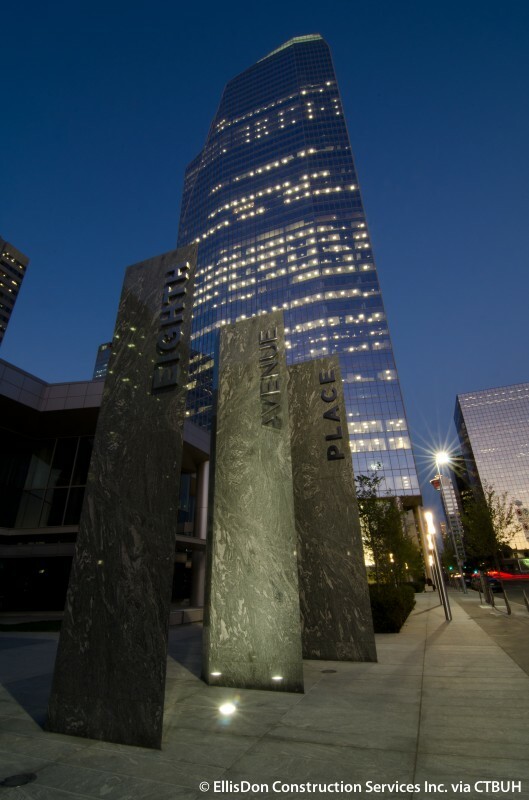 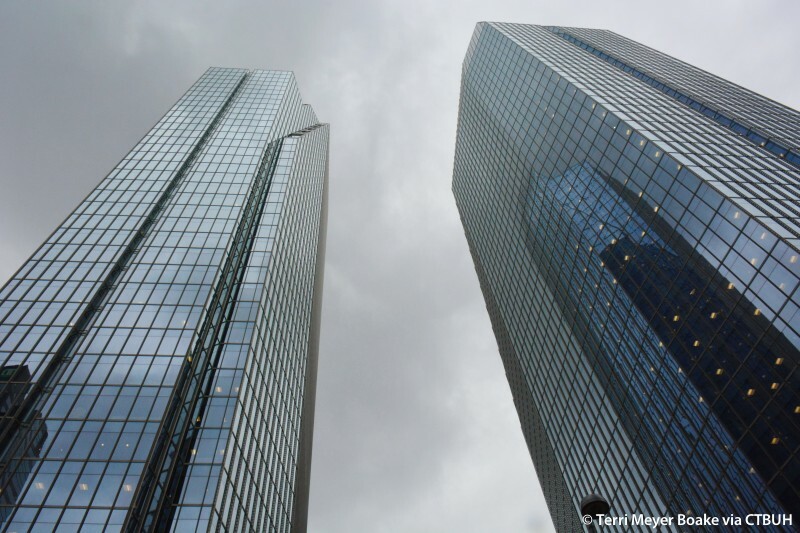 The Rocky Mountains were both the inspiration for, and driving factor of, the form and orientation of the building. 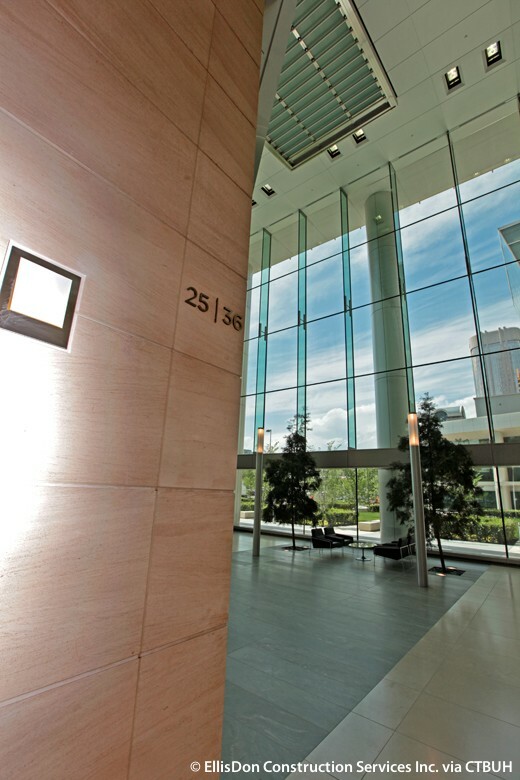 The faceted pinnacle of the tower adds a dynamic reflective surface and intriguing play of light to the more sober office towers surrounding the site. 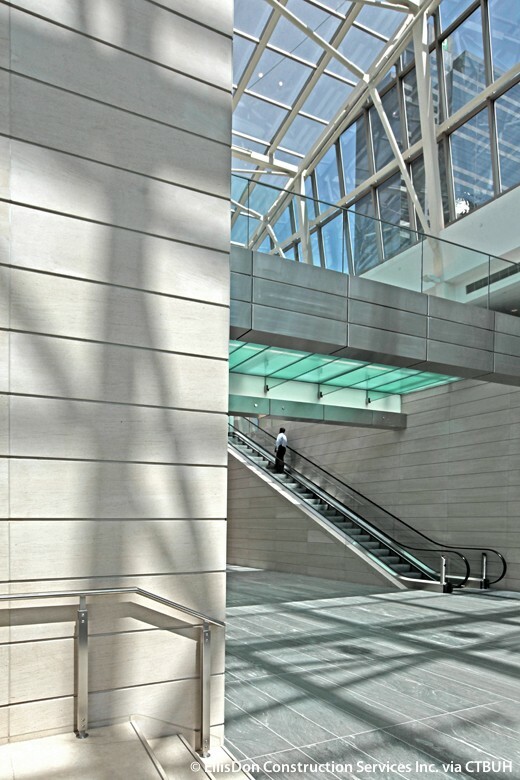 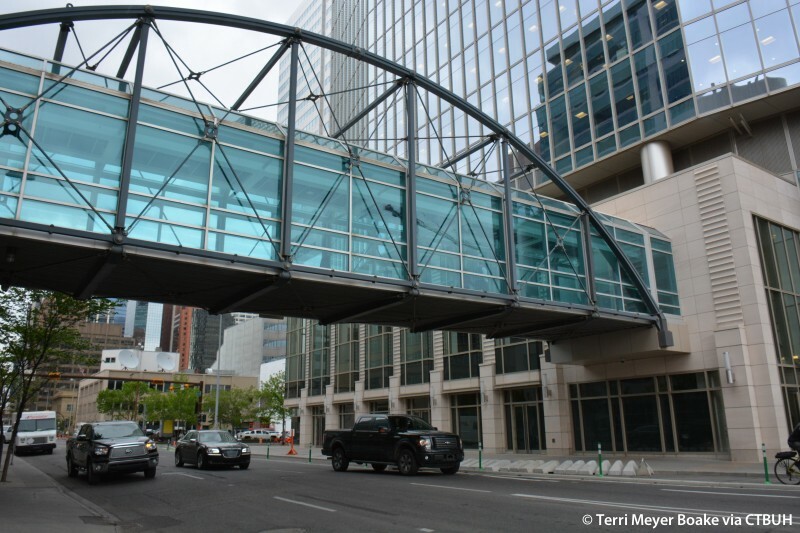 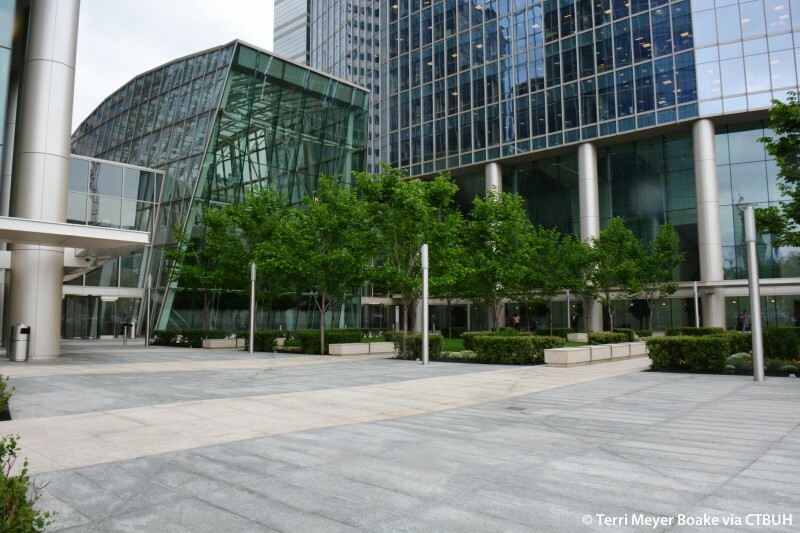 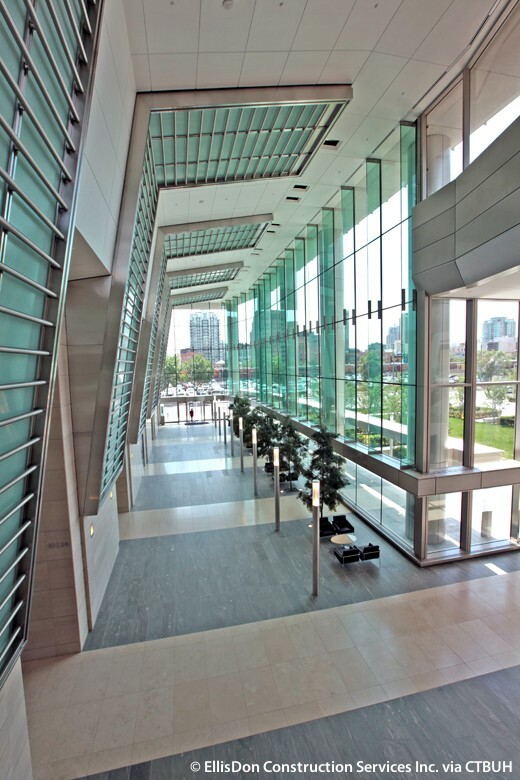 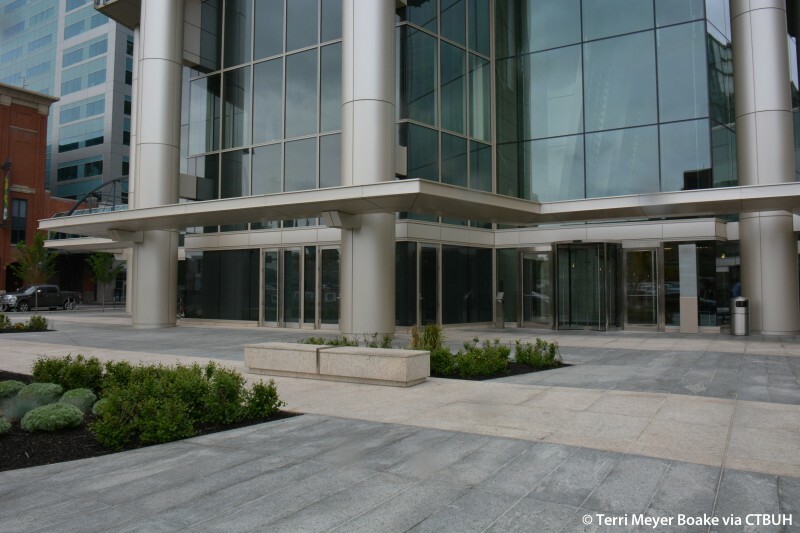 The podium of the development was designed to encourage pedestrian activity with a set-back and porous architectural expression, including an urban plaza, protective canopies, and direct connections to public transportation, as well as an open and transparent lobby. 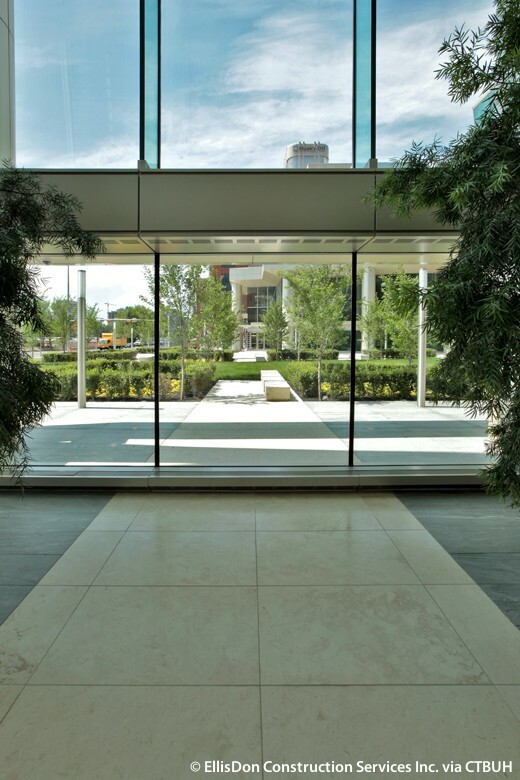 Atop the two-story podium sits one of Canada’s largest green roofs, comprising 2,790 square meters of planted area. 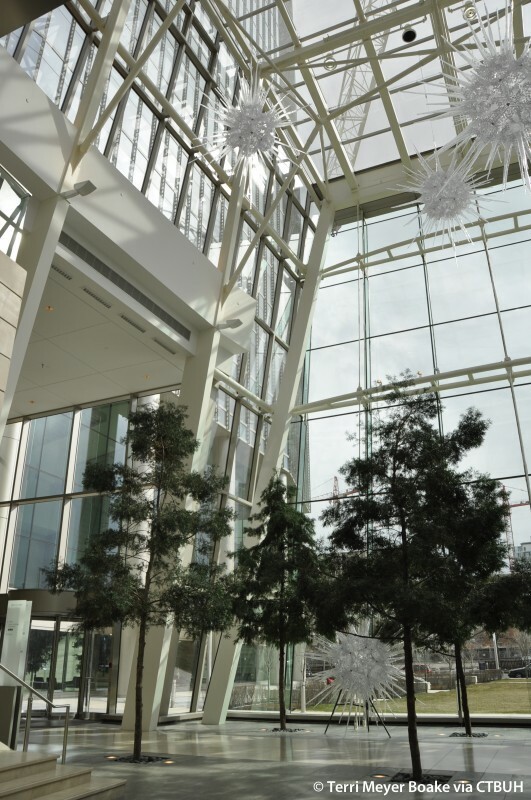 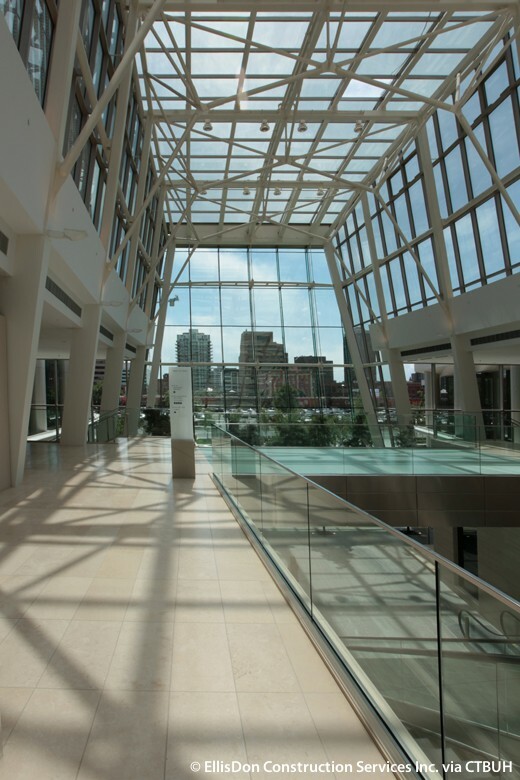 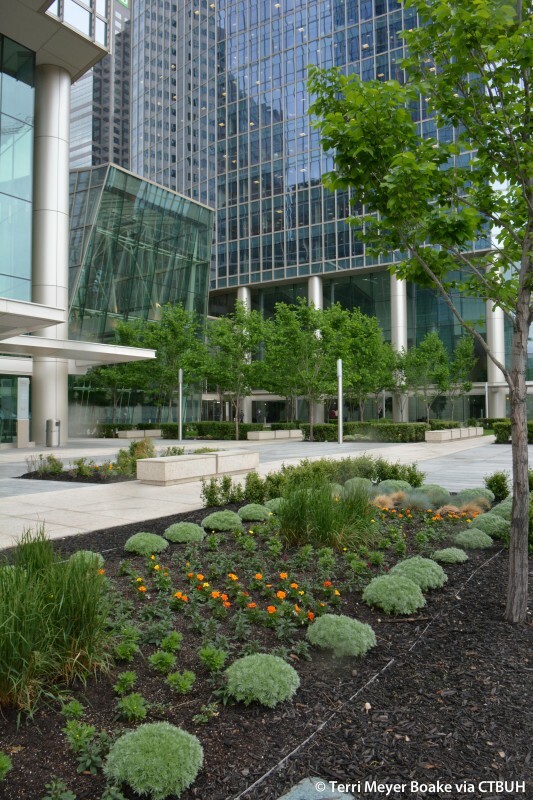 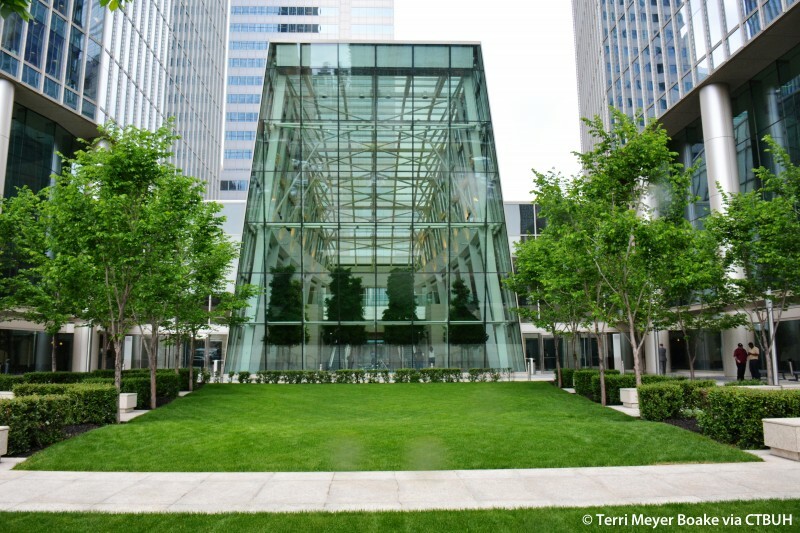 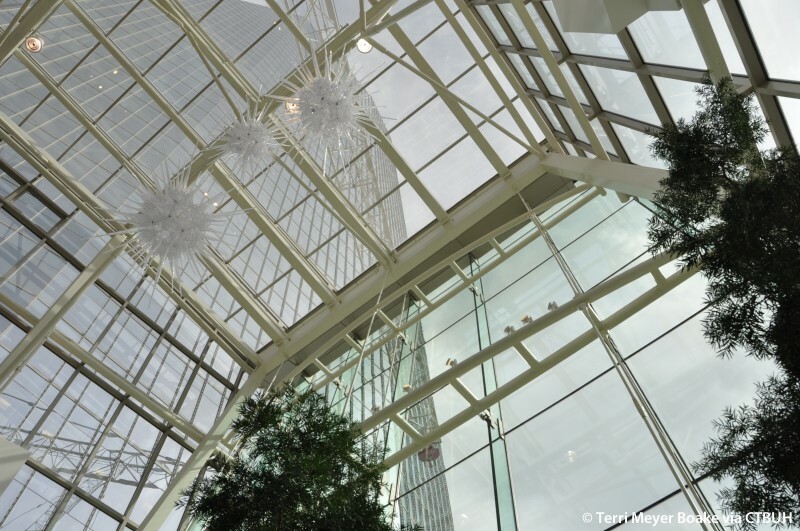 Between the existing tower and the site of a future development sits a large winter garden, providing space for events, dining, and relaxation for the occupants of the building.